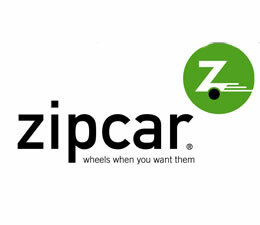 Updated w/ New Additions February 12, 2019 from 2.7.19 / Manhattan Neighborhoods NYC / Manhattan Restaurants NYC / Manhattan Buzz NYC. Valentine's Day is less than two weeks away. It's a good time to let your loved one know you care. Flowers, gifts and dinner are always welcome treats, and / or some thoughtful gesture that shows that the lady [or man] you're with still means a lot to you. It's generally hard to make restaurant reservations on short notice at a romantic Manhattan restaurant on Valentine's Day, and sometimes it's difficult to make them for the weekend preceding Valentine's Day. So if you're thinking about doing something this Valentine's Day for dinner on the Upper East Side, Upper West Side, Midtown or East Village; it's best to do your research early, and call a week or at least a few days ahead to make the reservations. Click this link to view a brief guide of Manhattan Valentine's Day restaurants - Manhattan NYC where you will find links to Manhattan restaurants we've visited in the past or have reviewed. The restaurants we've reviewed include a mix of high, medium and budget priced restaurants that are spread throughout the borough and offer a large variety of ethnic cuisines. Enjoy. March 12, 2018 / Midtown Manhattan Neighborhood / Midtown Restaurants / Manhattan Restaurants / Manhattan Buzz NYC. 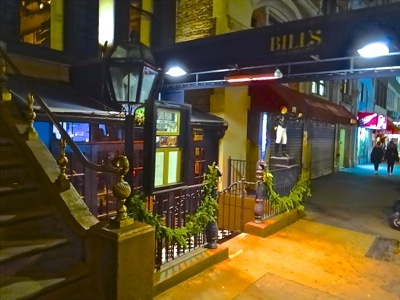 In late December, just before the holidays, I had the opportunity to spend an evening dining out at Bill’s Townhouse in Midtown Manhattan. 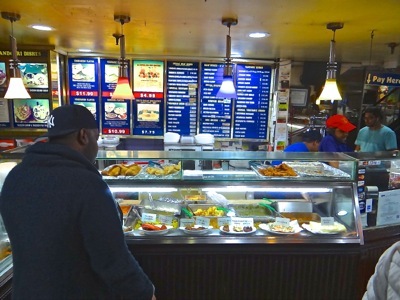 Bill’s is something of a legendary institution, as it has been around for about a century. Bill's Townhouse is a beautiful four story building [literally what used to be a townhouse] which is located between Madison Avenue and Park Avenue along 54th Street. One of the things Bill's Townhouse is noted for are their steaks. 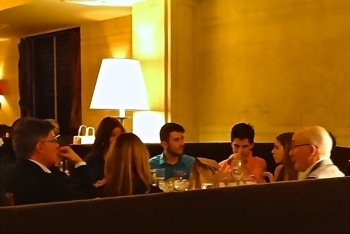 In the photo at right, guests at Bill's Townhouse, engaged in conversation prior to being served their dinner. I had made reservations earlier in the week for a Tuesday night out - the week before the Christmas holiday. 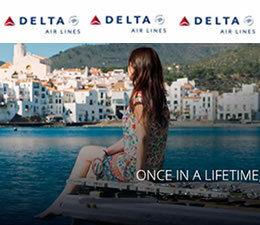 New York City, and particularly Manhattan, is a busy place this time of year because people from around the world come to shop, dine and visit, and many folks also come to the city to spend time with family and friends. We had an eight o’clock reservation and arrived right on time. The reception desk is located in the lower level, where there’s a bar that, tonight, was full. The walls are filled with memorabilia representing Bill’s Townhouse past, which includes time spent as a brothel, speakeasy and gathering space for theatrical folks. I’ll add a bit more about Bill’s Townhouse history later. After a short wait we made our way to the second floor, which is the main dining area. The room extends all the way back and opens up to the left, filling the width of the building that in the front part of the townhouse is used to accommodate the stairwell. There’s a half door at the top of the stairs that opens up into the back section of the main floor, allowing you to get a glimpse of some of your distant dining companions. Inside the main room there’s a grand century old fireplace that was in use. We were seated at one of the front windows which gave us a nice view of the room and a peak at the street below. Surrounding us were tables of men and women in couples and foursomes, with the larger groups seated more toward the back in the area that opened up to the full width of Bill’s Townhouse. Updated with a dozen new parties December 20, 2018 / 12.11.18 / Manhattan Restaurants NYC / Manhattan Buzz NYC. 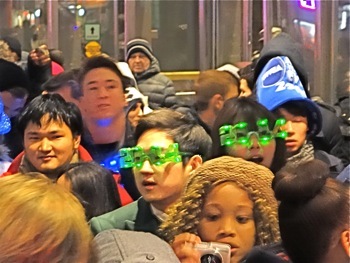 As happens every year, there will be a number of great New Years parties in Manhattan preceding and following the dropping of the ball at Times Square. The following are a number of different New Years restaurants in Manhattan NYC where you might consider booking a reservation. 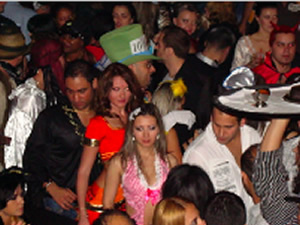 Click here for Manhattan New Year Parties - Manhattan NYC. October 10, 2017 / Upper West Side Neighborhood UWS / Manhattan French Restaurants UWS / Manhattan Buzz NYC. 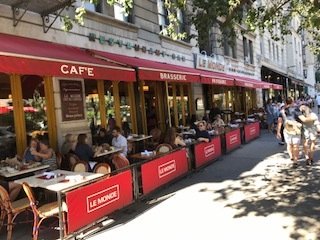 It was mid September and school had recently begun as I made my way toward Le Monde French restaurant on the Upper West Side. Le Monde is located along Broadway between 112th and 113th Streets - only a block away from the Samuel Tilden monument along Riverside Drive. Tilden was the first presidential candidate to win the popular vote and lose the electoral vote back in 1876. He had been the Governor of New York State. But I digress. Le Monde is a classical French brasserie, with dark wood paneled booths; a small hexagonal piece, stone tile floor; high ceilings with fans and cafe style seating outside along the street. Given it was a near perfect night, we chose to sit outside. After being seated, the sommelier was first to welcome us. We went with a Bordeaux. I skipped the appetizers and went straight to the Coq au Vin, while my dining companions ordered the Steak Frites and the Organic Chicken. The wine arrived shortly after we ordered it and our conversation turned to the new school year. After the food arrived we all went silent for a bit as we savored our respective choices. The Coq au Vin had a mellow flavor to it. The small pieces of chicken were tender and likely had been marinated and were accompanied by vegetables including medium-sized mushrooms cooked al dente, as well as carrots, garlic and onions in a thin wine sauce. On top of the stew there was a portion of Dauphinoise gratin, which are thin cuts of potatoes cooked in a layered manner and brown atop. The 12 oz steak and fries seemed to hit the spot as the young man who ordered it didn't come up for air until he was largely done. He said it was tender and flavorful and the fries slightly moist on the inside while crisp and salted on the outside. The organic chicken had come with asparagus cooked al dente. The chicken was moist and served simply. Meanwhile the street traffic seemed comprised of mostly coeds from Barnard heading down into town, while the people in the restaurant seemed a mix of neighborhood folks including several young couples, possibly from nearby Columbia. The prices seemed reasonable for NYC, with the appetizers coming in around $10, while the main courses ranged between $16 and $30. Le Monde, where 'the world' meets on the Upper West Side. August 27, 2017 / East Village Neighborhood / East Village Restaurants / Manhattan Buzz NYC. The school year was about to begin as I made my way down to the Bowery to meet an out-of-town guest and family members for a farewell dinner. It was a nice end-of-summer evening as I came above ground in SoHo, and I had a little time so I browsed around. I made my way up to Lil Frankie's at 19 First Avenue, only a couple doors north of Houston Street. Lil Frankies was bustling. It's a cash only restaurant that serves pizza and assorted Italian fare at affordable prices - meaning most of the appetizers and entrees run between $10 - $20 apiece. The photo at right shows the store front of Lil Frankies on First Avenue north of Houston in the Bowery / East Village. Thankfully we had a reservation so we didn't have to wait. 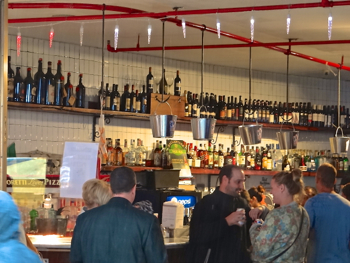 The restaurant is divided into two sections, one in the open area surrounding the bar and opening out onto the street, and the other in the back room which is made not quite so claustrophobic by the use of mirrors. We started with a plate of fried calamari which was fresh and tender. This was followed by main entrees including margherita pizza, wood roasted chicken and a pappardelle with veal ragout. I had ordered the pappardelle which was served while still hot, with the pasta cooked al dente, providing a dense, flavorful texture to accommodate the tomato based ragout sauce which surrounded the tender bits of veal. I was told that the fresh tomatoes and authentic mozzarella, combined with the flavorful dough used in creating the margherita pizza made its out-of-town recipient one happy camper. 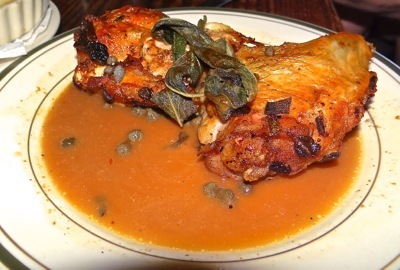 And that the roasted chicken was moist, tender and deliciously flavored with lemon, capers and sage. The ambiance was festive, the service was excellent, and it was a bit loud as Lil Frankie's attracts a youthful audience. And since the youthful members of our party were about to return to school, Lil Frankie's turned out to be just the right pick. Lil Frankies is a fun, casual place to get together with family and friends. Crowd Pleaser: Bar 65 Where Are You? January 16, 2016 / Midtown Manhattan Neighborhood / Midtown Restaurants & Rooftop Bars / Manhattan Buzz NYC. 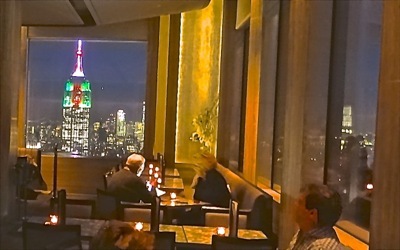 Over the holidays I had an opportunity to meet with friends at Bar 65 atop Rockefeller Center in Midtown. It's a classic meeting destination, particularly if you're hosting friends from out-of-town as the Manhattan rooftop view is unbeatable. You can get in without reservations, but during the holidays it's highly recommended you don't leave things to chance, and the reservations will also save you a wait in line. The photo at right shows the breathtaking views provided by Bar 65, the rooftop bar and restaurant at Rockefeller Center. The bar is located on the 65th floor at 30 Rockefeller Plaza, which is on 49th Street between 6th and 5th Avenues in Manhattan. The bar is also located across from the world famous Rainbow Room which first opened in 1934 shortly after the repeal of the Prohibition. The Rainbow Room is now mostly used as an event space, as it was landmarked in 2012, and carefully remodeled / restored around that same time. 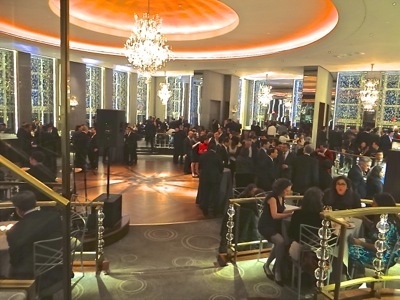 Between the Bar 65 and the Rainbow Room, there is a third location, which is a long bar looking south over Midtown Manhattan. Interior Design magazine compared the rooftop complex configuration to the old fashioned elegance of luxury ship, like the Titanic, over a century ago. The restaurant and dance floor are located at the fore of the ship, the gallery looking south in the middle and the Bar 65 in the rear. The whole complex is beautifully designed reflecting the height of 20th century, modern, art deco style. The 1936 film Swing Time, considered Fred Astaire & Ginger Rogers finest, was set in part at a club modeled after the Rainbow Room. The room is two stories high, with multiple levels, floor-to-ceiling windows and a revolving dance floor. The photo at right shows the Rainbow Room at Rockefeller Center which is now used exclusively to host private events. Meanwhile, back along the west side of Rockefeller Center is Bar 65 which is a private dining club during the day, and open to the public as a bar at night. Although Bar 65 doesn't match the elegance of the Rainbow Room [few places in the entire world do], it also has high ceilings, floor-to-ceiling windows, inset lighting and stunning views. There's a door at the south end of the bar / restaurant where you can walk outside to enjoy the view and take photos. The night I was there, the service was quite good, even though it was the week before Christmas and bustling with tourists. We enjoyed a bottle of wine, along with some Crispy Chicken Sliders, Braised Beef Short Rib Sliders and Roasted Artichoke Hearts and Lemon Hollandaise. The appetizers which we split cost just under $20 apiece and the bottles of wine was about $60, plus gratuity. 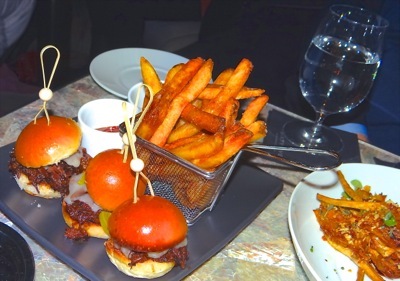 The sliders were done with some culinary panache that augmented the sense of excitement of being at the Top of the Rock. The Chicken Slider was made with succulent pieces of chicken covered with bacon and lime-chili mayonnaise. The Braised Beef Short Rib Sliders may have even been better as they included a mouth-watering serving of short rib beef flavored with a horseradish sauce and pickled green tomatoes. The artichoke hearts were good, but the least surprising. The photo on your right shows the Beef Short Rib Sliders and the Artichoke Hearts at Bar 65 atop Rockefeller Center in Midtown Manhattan. And then there were the views ... on all sides, save the bar behind which were the elevator banks and the Rainbow Room. But we could see south the whole length of Manhattan, glistening with jeweled lights, and north to Central Park and down 65 stories to the streets of Manhattan. It's a great place to spend a bit of time, feeling like you're on top of the world ... because in a sense you are. January 11, 2017 / West Village Neighborhood / French Restaurants in the West Village / French Restaurants Manhattan / Manhattan Buzz NYC. In November I had an opportunity to visit La Ripaille French restaurant off Abingdon Square in the West Village. It's a quaint place, with plenty of charm that is owned by a Frenchman who reminded me a little of Gerard Depardieu in the movie entitled Addicted to Love. Full of life and personality and he knows quite a bit about the food he serves and loves. It was a fairly quiet Wednesday night, on the eve of Thanksgiving, as I made my way through the quiet, narrow West Village streets. I stopped for a moment at Abingdon Square to take in the karmaic location, before entering the restaurant and sitting down with my friends. They had arrived just before me and were seated at a table in the middle of the restaurant. We'll have a full restaurant review of La Ripaille a bit later this week. July 19, 2016 / Midtown Manhattan Neighborhood / Midtown Manhattan Restaurants / Manhattan Buzz NYC. June 15, 2016 / Upper East Side Neighborhood UES / Upper East Side Restaurants UES / Manhattan Restaurants / Manhattan Buzz NYC. About a month ago, I met an out-of-town guest for breakfast at the Central Park Boathouse. 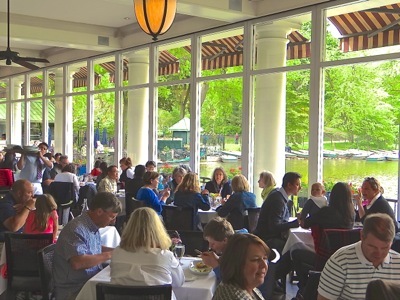 The Central Park Boathouse is one of the few venues that has remains a consistent treat not just to visiting guests, but resident hosts as well. The Boathouse is located in the center of Central Park, north of the Great Lawn, just beyond Bethesda Fountain, along the winding roadway on the eastern side of the park. 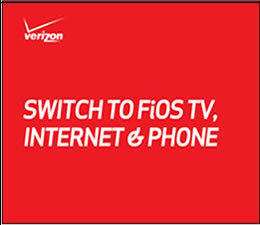 You can access it from 72nd Street, 76th or 79th Streets off Fifth Avenue on the Upper East Side. While I was there for brunch on this particular Sunday, my favorite time to visit the Central Park Boathouse is in the middle or late afternoon on a weekend for a glass or more of wine to wind down the day and the week with friends. It's frequently crowded and takes a bit of patient waiting and strategic positioning, to get a seat to rest one's weary bones ... but once settled in ... it's an unbeatable venue for late afternoon relaxation. More later. May 16, 2016 / Upper West Side Neighborhood / Upper West Side Restaurants / Manhattan Restaurants / Manhattan Buzz NYC. The Lucerne Hotel was designed by Harry Mulliken and Edgar Moeller, and opened in 1904. The Lucerne Hotel exhibits the architects' trademark facade which is a rich, brownish-red and pink, brick and terra cotta facade. The architects designed a number of other well known New York City buildings, which still stand today. The Nice Matin French restaurant is located on the ground floor of the beautiful, 12-story building housing the Lucerne Hotel, which is located at the corner of Amsterdam and West 79th Street on the Upper West Side. The Lucerne Hotel closed for a while in the last half of the 20th century, and the building was temporarily converted into Columbia University housing. In 1995 the Lucerne Hotel reopened. And it's worth noting that the building was landmarked sometime in the last half of the 20th century. But I digress, as it's Nice Matin, the French restaurant that we're about to explore. I have eaten at Nice Matin on numerous occasions, and within the past month enjoyed yet another fun outing. I arrived embedded with a large party of just under a dozen at around half past noon on a Sunday. We weren't allowed to make reservations for the party because of its size, but we had called ahead and within about 15 minutes we were seated. The ambiance has always been festive, as the 20 foot high ceilings, and the floor-to-ceiling windows along both the southern and western walls allow in ample light and a great feeling of space. While the ambient conversations fill the background with sound, it's not noise, but rather part of a melodious rhythm. 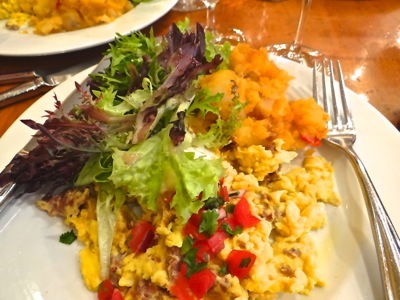 The photo at right shows the Lamb Sausage and Scrambled Eggs at the Nice Matin French restaurant on the Upper West Side. May 2017 / Manhattan Neighborhoods / Manhattan Restaurants / Manhattan Buzz NYC. Mother's Day isn't that far away [May 14th, 2017]. It's a good time to let your loved one know you care. Flowers, gifts and brunch or dinner are always welcome, as is any thoughtful gesture that provides some measure showing your appreciation of your mother or the mother of your children. After all, without mothers, we would all cease to be. 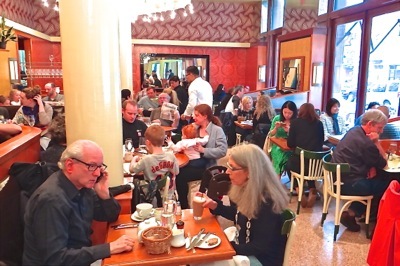 It's best to book a restaurant reservation for Mother's Day brunch, as on Mother's Day in Manhattan, many restaurants are full. So if you're thinking about eating out at a restaurant this Mother's Day on the Upper East Side, Upper West Side, Midtown or East Village; it's best to do your research early, and call ahead to book Mother's Day restaurant reservations. The origins of Mother's Day in the United States began with the efforts by Anna Jarvis in honor of her own mother. According to Wikipedia, Anna began the campaign in 1905 - the year her mother died - and in 1910 West Virginia was the first state to adopt it as a holiday. In 1914 Woodrow Wilson made the second Sunday in May as a national holiday to honor mothers. Click this link to view a brief guide of Mother's Day restaurants in Manhattan where you will find links to Manhattan restaurants we've visited in the past or have reviewed. The restaurants we've reviewed include a mix of high, medium and budget priced restaurants that are spread throughout the borough and offer a large variety of ethnic cuisines. Enjoy. November 22, 2015 / Midtown Neighborhood / Midtown Restaurants NYC / Manhattan Restaurants NYC / Manhattan Buzz NYC. I made my way up from the 28th Street & Park Avenue subway on a warm November evening. I was running a bit late to meet a friend for a quick bite to eat at Curry in a Hurry. 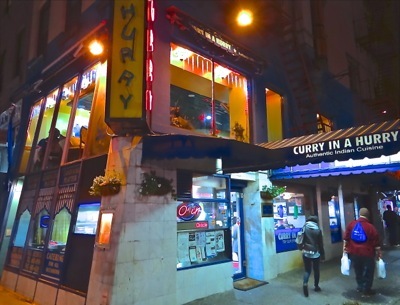 Curry in a Hurry is an Indian restaurant located only one block east of Park Avenue on Lexington Avenue at 28th Street. My friend was waiting outside, enjoying the quirky ambiance of the 49 year-old restaurant [opened in 1976]. We had both spent time traveling in India [separately] and Curry in a Hurry is a restaurant, which still emanates a late 20th century Indian vibe. The exterior, as mentioned, is a bit unique and quietly & visually tells passerbys that what awaits inside, is a trip to south Asia. Curry in a Hurry is shown in the photo at right. We entered the restaurant for the first time in many, many years. I had moved out of the Gramercy Park neighborhood nearly 15 years ago, and it might possibly have been that long ago since either of us had visited the restaurant. In fact, while scheduling the get-together, neither of us was sure whether Curry in a Hurry would still be there, given how quickly things had been changing in Manhattan … but like the flag that still stood at Fort McHenry during the War of 1812 - made legendary by Francis Scott Key’s dedication in the ‘Star Spangled Banner’ – Curry in a Hurry was still standing. Click here to read the rest of the story including photos of one of the leading budget Indian restaurants in Manhattan NYC. October 17, 2015 / South Street Seaport Tribeca Neighborhood / Tribeca Restaurants / Manhattan Buzz NYC. 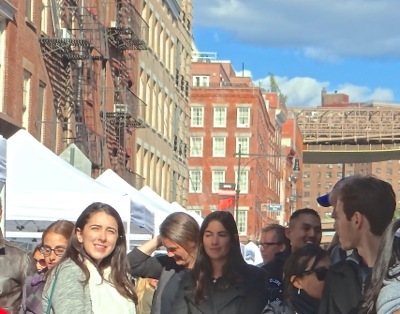 I went to browse through the Taste of the Seaport, which was held at the South Street Seaport from 11 am to 4 pm. It was a cool sunny autumnal day in mid October as I made my way toward the East River downtown. The South Street Seaport is a popular destination that attracts both locals and tourists. It's location, just south of the Brooklyn Bridge, with its sweeping waterfront views, is also a docking destination for boat tours and ferries. And the South Street Seaport restaurants are both plentiful and varied. Since I arrived early afternoon, I didn't have much time to do more than a quick sweep of the Taste of the Seaport and hence - unfortunately - didn't get much of a chance to converse much with the local restaurateurs. There were a lot of food booths - 37 in all - lining Front Street all the way up to Peck Slip. 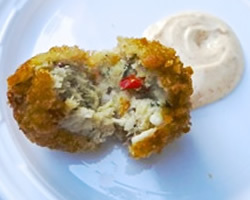 Click here to read the rest of our report on the Taste of the South Street Seaport. 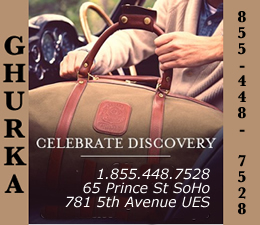 September 28, 2015 / Gramercy Park Neighborhood NYC / Gramercy Park Restaurants NYC / Manhattan Buzz NYC. It was a beautiful Saturday afternoon as I made my way up Irving Place to the Taste of Gramercy Park. Irving Place had been cordoned off between 17th and 18th streets and there were a number of food tents, tables and bar stools situated in the midst of the blocked street to let attendees sit while tasting the delicious morsels served by restaurants from the surrounding Gramercy neighborhood. I began visiting each of the booths, surveying their goods and sampling some of them. 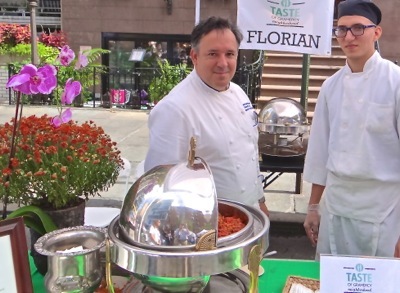 Chef Brando De Oliveira is shown in the photo at right standing in front of a collection of Florian's famous short rib meatballs. 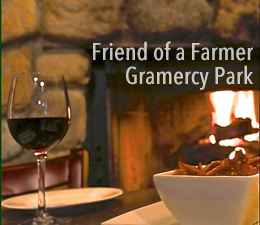 We'll post more about the Taste of Gramercy later tonight. 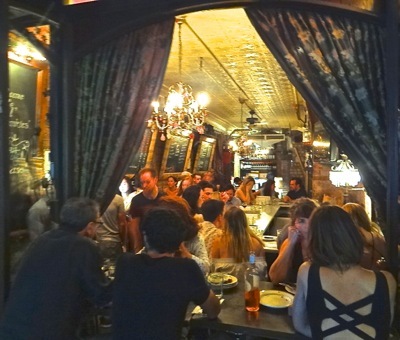 June 30, 2015 / Midtown Neighborhood NYC / Manhattan Restaurants / Manhattan Buzz NYC. The second annual Taste Asia Food Festival was held last Friday and Saturday in Times Square. 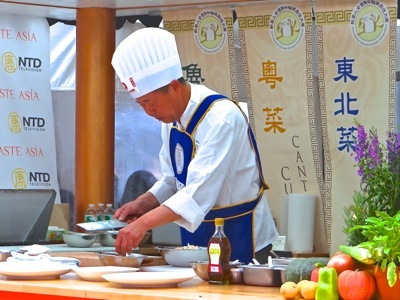 The event is part outdoor cooking show, part street fair and part Asia buffet and it is sponsored by the Epoch Times. I attended the event early Saturday afternoon. About every hour or two there's a cooking demonstration / competition wherein a number of the chefs from participating restaurants compete for prizes in live cooking demonstrations [see photo at right]. The competition is fierce as most of the chefs are life long curators of their ethnic cuisines and marshall their talents and trade secrets to win the prize. The event was held in Times Square along Broadway between 42nd and 43rd streets, which given the attraction and the natural crowds, was crowded. June 8, 2015 / Midtown Manhattan Neighborhood / Midtown Restaurants NYC / Manhattan Buzz NYC. 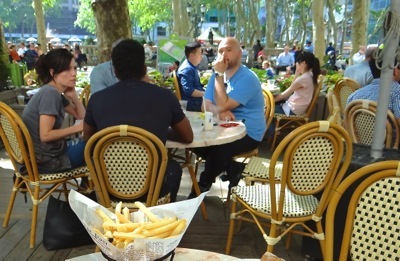 It was a beautiful day in early June as I made my way to meet a friend and occasional Gotham Buzz contributor at the Bryant Park Cafe in Midtown Manhattan. We had planned to meet early afternoon, following the lunch rush, so we could relax and enjoy the day a bit before resuming our respective duties. The Bryant Park Cafe is located just behind the New York Public Library which runs along Fifth Avenue between 42nd and 41st Streets. And it looks out onto Bryant Park which begins at the back of the library and runs westward toward Times Square, but ending a bit short of it one long block away at Sixth Avenue. In the other direction lies Grand Central Terminal which is only two blocks away. 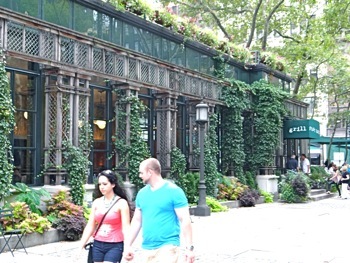 Thus Bryant Park Cafe not only overlooks a festive location, but is a convenient meeting location for folks traveling from various parts of the city. On most days and at most times, the park is fairly well traveled because it's a green oasis in the heart of the city. It's a place where locals, tourists and workerbees all intermingle. And thus the Bryant Park Cafe is generally populated with some fair measure of guests, which adds to the joyful ambiance. We'll have more on the Bryant Park Cafe restaurant in Midtown Manhattan at a later date. Mid May / Tribeca Neighborhood / SoHo Tribeca Restaurants / Manhattan Buzz NYC. 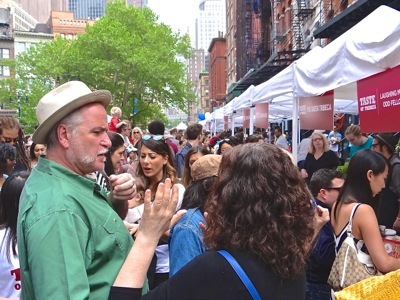 I had the opportunity to attend the 21st Annual Taste of Tribeca on Saturday afternoon. It was a warm, mostly sunny day, with temperatures hovering around 80. In the morning there were clouds and a light misty rain, so it didn’t get too hot and the misty rain left little humidity in the air. The Taste of Tribeca is a fundraiser for two of Tribeca’s public schools – PS 150 which is also referred to as the Tribeca Learning Center and PS 234 which is also called the Independence School. The additional funds are used to provide programs and equipment that are used to enhance learning for the K through 5th grade students of the two elementary schools. Both schools are public non-charter schools that are highly rated and whose students perform well on standardized tests. In recent years the demand for enrollment in these two Tribeca public schools has grown rapidly with the growing population of the neighborhood. A couple of years ago the Department of Education had proposed moving PS 150 up to Chelsea to provide more space for students, but the effort was defeated by the Tribeca neighborhood. And about five years ago, the school district for PS 234 was the focus of a school district zoning battle, as the increased growth in residential housing and population had strained the demand for PS 234 school facilities. So there's a bit of history about the public schools for which the funds were raised, but I digress. Let us begin our journey through the Taste of Tribeca restaurants, where we will become a little more familiar with a few Tribeca restaurants and bars. January 9, 2016 / Upper East Side Neighborhood / UES Restaurants / Manhattan Restaurants / Manhattan Buzz NYC. This holiday jingle came to mind as I embarked on an uptown subway to meet an old friend, who is also a published poet. I was running a bit later than I had planned, but made it to the Arlington Club on Lexington Avenue between 73rd and 74th Street only a few minutes late. As I walked up Lexington I noticed his silhouette in the distance. He was the man in the long dark coat and a Borsalino hat. We greeted each other casually, and after a few brief exchanges, made our way into the restaurant. The Arlington Club is a large, gracious restaurant, with an airy feeling. The main dining area rests sublimely under cathedral ceilings and encased window lighting. The interior design is modern, while evoking the classicism of a culinary beaux-arts temple. There’s balcony seating on the upper level, which provides greater privacy, and as fate would luckily have it, without any degradation of attention or service. Since we’d made reservations we didn’t have to wait, but the bar along the front right wall appeared inviting, particularly the seats near the front of the restaurant with a street-level view of Lexington Avenue. The Maitre d’ escorted us upstairs and seated us comfortably in a hearty upholstered chair and a booth seat. Our holiday conversation began as we played catch up on business matters, kids and spouses, and siblings and parents. Our waitress this evening was Lauren, and her service was impeccable. She guided us through the menu, mentioning the specials and favorites, and then adroitly parrying our questions. My poetic friend ordered the Greek salad for an appetizer and the Filet Mignon for the main course. I selected the Crab Cakes and the Double-Cut Lamb Chops. Click here to read the rest of our story with photos about the Arlington Club UES - steak restaurants Upper East Side. 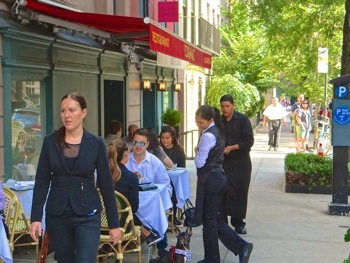 Upper West Side UWS Neighborhood / UWS Restaurants / Manhattan Buzz NYC. It was a clear, cool Sunday evening as I made my way up Amsterdam Avenue to 75th Street. The sun was setting and the shadows had begun settling into the nooks and crannies of the cavernous streets, only to be whisked away by street lights and the lights of small businesses. One member of our party had made reservations online through the Cesca website, and as it happens, this party member was also the last to arrive. But it was no wait and no big deal, as Cesca has a full sized bar in the front of the restaurant [capacity 40], that’s separate from the dining area. And while the bar was populated with soon-to-be diners, it wasn’t crowded. So I found myself a seat and shortly thereafter, the rest of my party arrived. 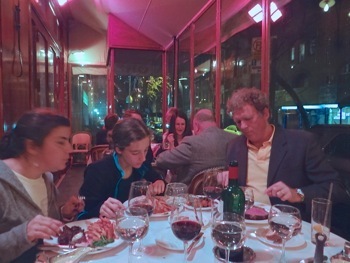 The maitre d' escorted us into the back of the spacious upper west side Italian restaurant [capacity 175]. We walked past the open grill into the main dining area where we were seated. The restaurant was full this evening, as it has been the times I've dined here, but generally comfortably so. The staff is equipped to handle the pre-theater rush crowds prior to performances at the nearby Beacon Theatre, as well as for the folks heading south to Lincoln Center [although the latter is a ten block walk or taxi ride away], so tonight was a walk in the park for them. The crowd generally appeared to reflect the surrounding UWS neighborhood. I spotted a Sunday night date couple or possibly young romance nestled along one of the walls, a family with twenty-somethings and their friends hosted by one of their parents, and a middle-aged couple with their teenage kids. Everyone seemed relaxed and comfortably seated. 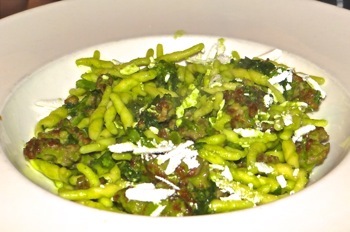 Click here to read our review of one of the leading Italian restaurants on the Upper West Side UWS NYC. 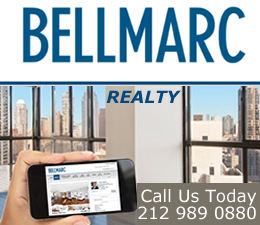 March 12, 2019 / Manhattan Neighborhoods NYC / Manhattan Restaurants NYC / Manhattan Buzz NYC. St. Patrick’s Day is upon us once again and it’s time for one and all, regardless of genetic history, to don their green clothing and head out to the Irish bars for a pint of ale or to the Irish restaurants for some down home Irish fare … or something like that. This report is about some of the Manhattan Irish bars and restaurants that have survived the test of time, and likely a might bit … more. 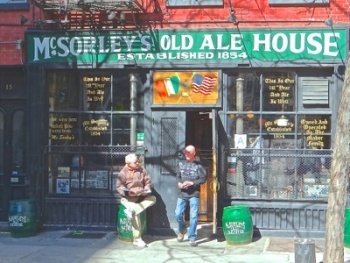 The Irish pubs include Irish bars and restaurants from the Upper East Side [UES], the Upper West Side [UWS], Midtown Manhattan as well as the East Village, as McSorley's remains not just a pub, but a good piece of history. Click here to read our report about the St Pat's Day Bars, Irish Pubs & Restaurants in Manhattan NYC. It was the night before Thanksgiving as I hurriedly made my way up Lexington Avenue along Manhattan’s Upper East Side. It was cold and drizzling a mix of rain and sleet as I finally arrived at d’Orsay French restaurant. The name, d’Orsay, comes from Paris where there’s a Museum named Musee d’Orsay. In tracing back the name, I found it was attributed to a Count d’Orsay circa the early 1800’s who was considered a ‘man of fashion’. The Palais d’Orsay previously occupied the site of the Museum which was a beaux arts train station erected around the turn into the 20th century. D’Orsay is a surname associated with a small town just outside of Paris, and the name meant that you were ‘from Orsay’. The restaurant has a warm feel to it. High ceilings, a long open wooden bar and solid ceramic tile floors welcomed me in from the cold night. It was to be a late dinner, so the hubbub of rush hour / primetime had passed. Most folks had settled into their repast some time before I arrived. I saw my dining companions seated in the windowed dining alcove along 75th Street. As they were close relatives who had started without me, I felt relieved of the need to apologize for a belated arrival. The waiting staff was attentive, without being intrusive, as we settled into the comfortable Upper East Side brasserie. 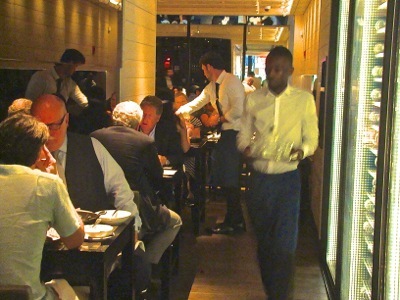 Click here to read the rest of our report on D'Orsay French Restaurant on the Upper East Side. I went to the Taste of Times Square on Monday evening. 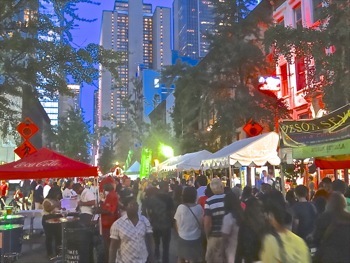 The festive food event was held on 46th Street between Broadway and 9th Avenue, and it had begun at 5 pm and was to run until 9 pm. Needless to say, Times Square is nearly always crowded and busy, and this Monday evening was certainly no exception. The sun was out, the temperatures were in the 70's, and it was fairly dry and comfortable. I started in from Broadway, where the restaurateurs were busy serving the hungry attendees, who paid $6 per ticket which was good for one taste. I sampled a number of delicious morsels and had a chance to talk to some of the people working the event. 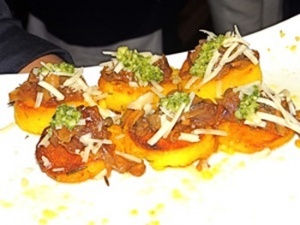 As near as I could tell, all of the participants were from restaurants from the immediate vicinity and the offerings ran the gamut from appetizers to full meals. In the top photo at right you can see the Taste of Times Square between 8th and 9th Avenues along 46th Street in the Theatre District of Manhattan as the Taste of Times Square was winding down. In the photo at left, you can see a crabcake croquette from O'Lunney's Times Square Pub which was so good that I'm still thinking about it. We'll post more about this fun food event in Midtown NYC at a later date - including photo slide show of the food and restaurateurs. 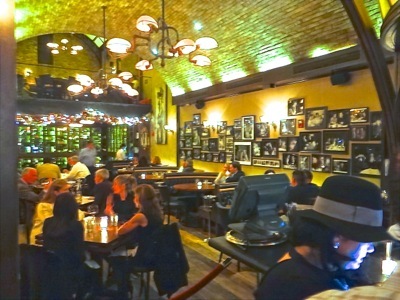 Click here for the business listings of a number of Manhattan restaurants NYC. January 2018 / Midtown Manhattan Restaurants & Bars / Manhattan Buzz NYC. 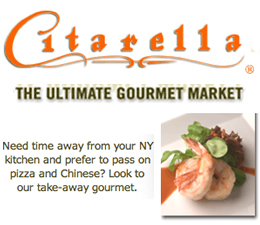 This section contains review of the restaurants in Midtown Manhattan that we've visited to date. 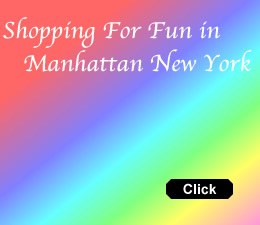 This section also includes maps and transit info & links, as well as information and links pertaining to neighborhood attractions and shopping in the Midtown Manhattan neighborhood / section of NYC. 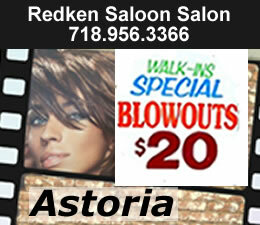 Click here to view our section on Midtown Restaurants Manhattan NYC. December 2017 / Upper East Side Neighborhood UES / Manhattan Buzz NYC. 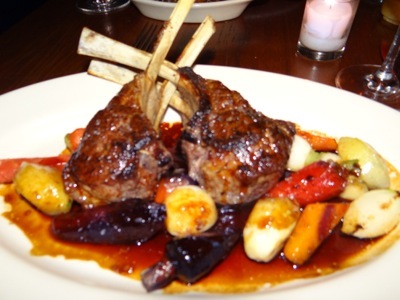 This section contains restaurant reviews of the restaurants in the Upper East Side neighborhood of Manhattan NYC. The Upper East Side has some of the finest restaurants in the city. 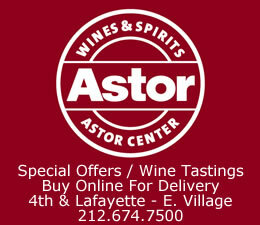 Click here to enter the Upper East Side Restaurants UES section of the site. April 2018 / Manhattan Restaurants NYC / Manhattan Buzz NYC. 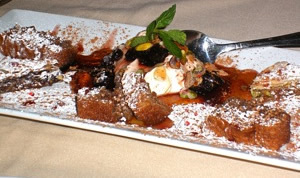 This section includes reviews of Manhattan restaurants from various neighborhoods in the borough. 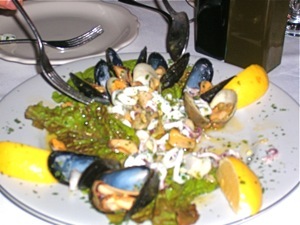 Click here to view the Manhattan Restaurants NYC section including reviews of the restaurants in Manhattan NYC.